Freestanding and spacious, the Briefcase safe offers plenty of room for laptops, briefcases, purses, video cameras, and much more. This larger footprint can be utilized in guest rooms as well as the hotel back office. Operationally, the B 5.0 and the industrial strength Emergency Handheld Override (EHO) are easy to learn and simple to operate. 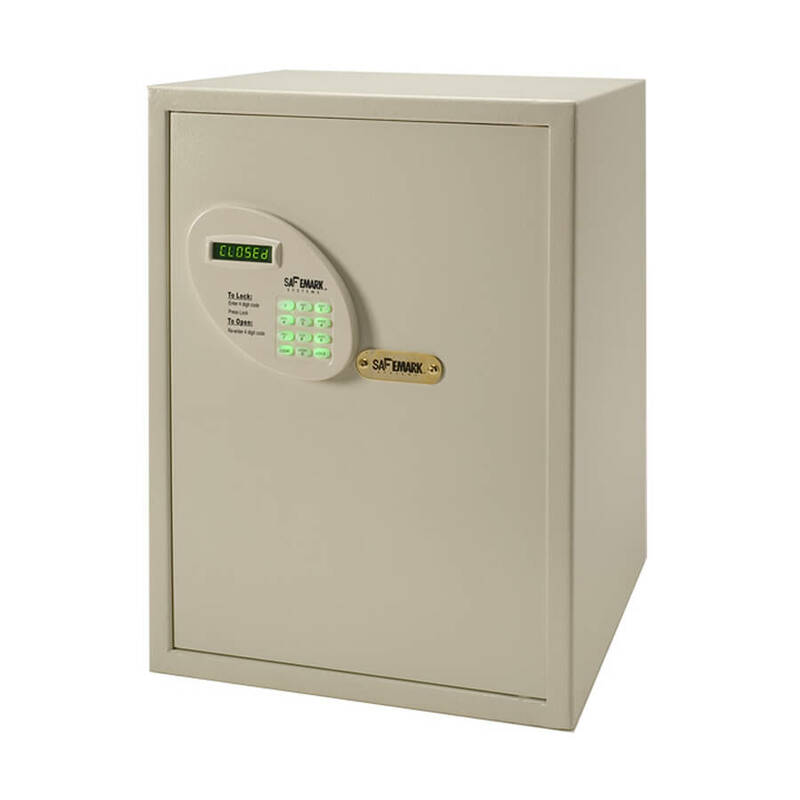 Hotels looking for added security often select the Medeco UL-rated fail-safe to override key system.